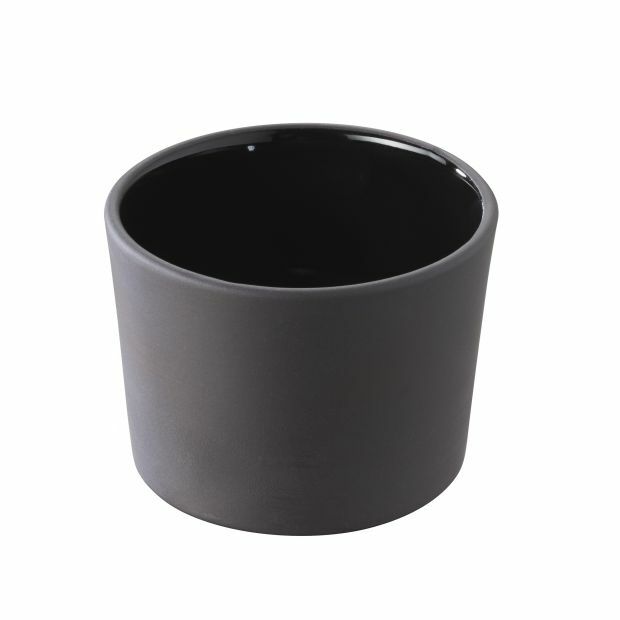 This ramekin is made of black porcelain and has a nice glossy inside. Serve anything small such as condiments, sauces and small bites. Oven, microwave and dishwasher safe.